يقع فندق أدينا للشقق الفندقية، شارع كراون بسيدني، المصمم ليناسب كل الضيوف سواء كانوا من رجال الأعمال أو السياح، في مكان ممتاز في أحد أكثر المناطق تفضيلاً في Surry Hills. يمكن من هنا للضيوف الاستمتاع بسهولة الوصول إلى كل ما تقدمه هذه المدينة النابضة بالحياة. يضفي محيط الفندق اللطيف وقربه من Ashtanga Yoga Space, اوبجكت جالاري, تايلور سكوير سحراً خاصاً على هذا الفندق. إن الخدمات التي يقدمها أدينا للشقق الفندقية، شارع كراون بسيدني تضمن للنزلاء إقامة مريحة. يمكن للنزلاء الاستمتاع بالميزات التالية: واي فاي مجاني في جميع الغرف, مرافق مخصصة لذوي الاحتياجات الخاصة, تسجيل وصول/خروج سريع, واي فاي في المناطق العامة, صف السيارات أثناء إقامتهم في هذا المكان الرائع. في الفندق غرف نوم يتجاوز عددها 84، كلها مجهزة بعناية وجمال وبعضها مزود بـ تلفزيون بشاشة مسطحة, غرف لغير المدخنين, مكيف هواء, تدفئة, مكتب. يقدم الفندق العديد من الفرص للاستجمام كمثل مركز للياقة البدنية, ساونا, حمام سباحة خارجي, سبا, تدليك. يحظى فندق أدينا للشقق الفندقية، شارع كراون بسيدني بموقع ممتاز وخدمات يصعب منافستها. يطبق فندق شقق أدينا سياسة صارمة تمنع وجود الحيوانات/الحيوانات الأليفة داخل نطاق الفندق. وتغطي تلك السياسة أيضًا سيارتك الموجودة في نطاقه. سعر انتظار السيارات هو 30 دولار أسترالي/الليلة. وديعة أمان بطاقة الإئتمان بقيمة 200AUD مطلوبة عند تسجيل الدخول لتغطي الرسوم أو الأضرار خلال فترة الإقامة و سيتم إرجاعها خلال 10 يوم/أيام عمل بعد إنتهاء إقامتك. Easy and efficient check in. Rooms was spacious with living, dining and kitchen area. All modern, immaculate and tasteful decor. Comfy beds, with a selection of pillows. TV in all rooms. Can get Uber Eats etc for room service. Only negative was TV reception for the Pay Movies was pretty bad. 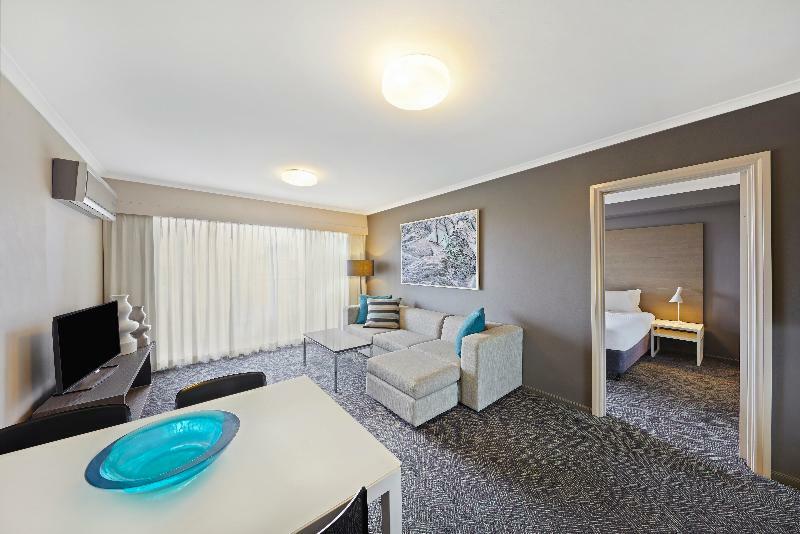 If you are a long stay traveller or large family this hotel is idea for making your Sydney base. Buses running outside the front died can take you around at low cost and Uber & taxis are plentiful for moving groups. The pool temperature is a little cool for me but the spa is warm and great for relaxing. Best feature was the huge apartment style room: big lounge area, self contained kitchen. Mini bar style food/drink stocked. Bedroom and bathroom fine. 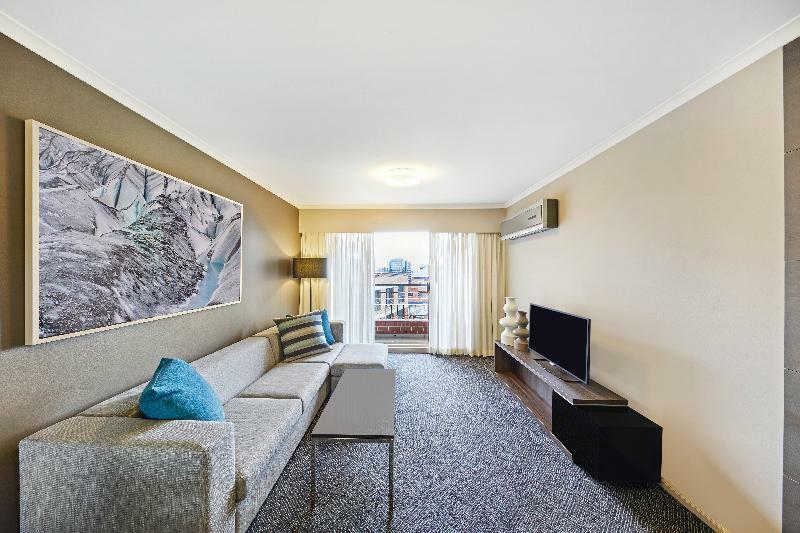 Great location as can walk to the main food / bar areas, plus a reasonable walk via Hyde Park to the CBD. Secure and quiet. Good value for money. Everything was great, the apartment was large, lovely design, very comfortable. We did have some noise from the street, our room was facing the street & there is a bar across the road, but that is to be expected for inner city location. I have stayed at this hotel many times in the past (when it used to be called the Medina on Crown) but it has recently gone through a serious upgrade. The apartments are compact, well designed and beautifully appointed. Accommondation is good, but services are poor. We found the restaurant just dowstair with limited seats. We feel the restaurant doesn't belong to the hotel. Menu is poor and if wishing to have fine dining you should go out. Parking entry is narrow not comfy for someone whos driving most of life in US. Reception was polite. My room was a single double bedroom with kitchen and spacious living room. Kitchen lamp was broken when i first arrived. Water can suddenly turns colder when i showered. Those who traveling 3 people. The sofa is more than enough to sleep in, no need for extra bed (saves A$50/day), just wear a extra layer of clothes, Air conditioning is very cold (which is good). Internet is not free, only the first 100 MB/daily is complimentary. After that is A$ 9.95 for 24 hours period. Agoda please note this!!! (And they not fast internet) Everything is pricey on Aussie, so orderon what u need for amenities. 10 mins walk from Adina apartment to Central train stations. Cheers! Our stay was excellent. the staff were extremely helpful and friendly and the location is spot on. the size of the apartment was also a pleasant surprise and very well facilitated. i can highly recommend this hotel. Excellent apartment layout, very good public transport access, friendly staff. A great week end was had by our family of 5. Close proximity to public transport was excellent. Our room was available for an early check-in which was a bonus. Apartment layout worked well for our family with three older boys. Rooms nicely appointed and it was a very quiet environment. Everything we needed or could want was available. i was in this hotel for 2 nights. it was so close to cbd(20 min walk) and close to train station(central station around 10 min walk) . it was around 45 min walking to opera house as well. very friendly staff. i had request for early check in . i arrived at 7 am . but reception staff said they do not have any room available and they can not give me my room before 1pm.i had one bedroom unit at level 6.it was clean and good size with one queen size bed. unfortunately internet was not free and it was very expensive i had very small balcony so i could smoke there. i had just one big problem. there were some trees in front of balcony. there were full of bats!!! i know staff can not do anything about it but if you scare from bats like me i do not recommend this hotel to you. because upon the day finish , all of them were in front of you!!! For a family of five adults, the 2-bedroom apartment was just right. It was big with large, comfortable beds and the kitchenette was clean and fully equipped. We could not have asked for more. It was simply a wonderful stay. A thoroughly enjoyable stay in a well-run hotel. Two suggestions for improvements: provide free internet for paying guest - it really isn't too much to ask for. A few basics in the kitchen such as salt and pepper wouldn't have gone amiss either. Otherwise, a brilliant stay. Awesome! I would have to say that the Adina was perhaps the best stay i have had as a solo traveller for a long time! The staff were very friendly, the rooms were very clean, and they were receptive to feedback. I did have issues with the Key card though. I went through 5 sets of 3 cards while being there for 4 days. The cards were just intermittently working, and that was probably the only frustrating thing about them. Otherwise, i will happily stay there again and again. Just awesome!! Clean 'enough' and close to many attractions in Sydney. For what it was, it was rather expensive and we doubt we'll stay there again. The good thing about the hotel was the Asian female receptionist who was attentive to our needs. 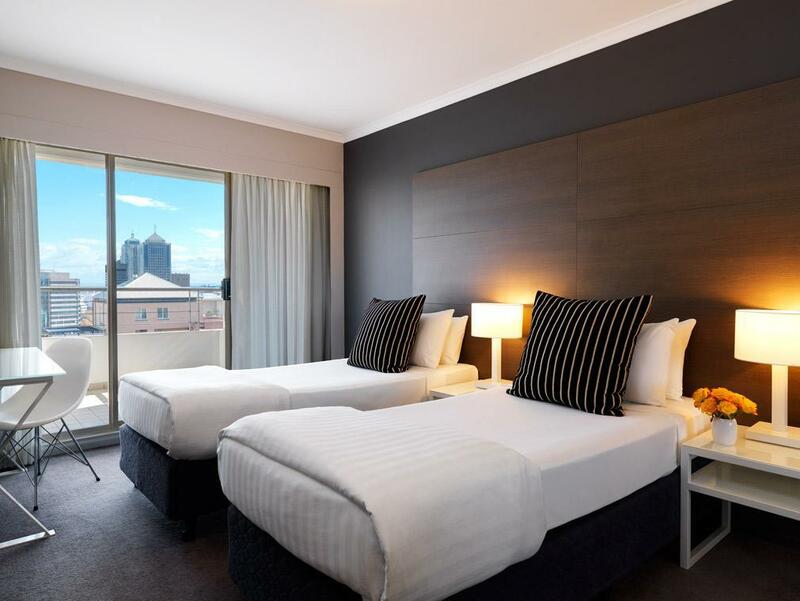 we went to these hotel only for 1 night when we got to sydney the rooms were big clean and nice we left the next morning so ididn't get to experiance every feature of the hotel but overall the experince was very good and will try to go back there at some point maybe. Adina provides great service with a very nice and cozy setup in the apartment. Food choices around the area is great but the only regret is that the cbd is quite a distance away and can take4 quite some time to walk. especially with families with elders. Then again, the area caters more towards the young at heart with a wide variety of boutique shops and restaurants.